When I run an executable located on Storage Spaces disk that requires incoming network connections, the Windows firewall incorrectly determines the full executable path. 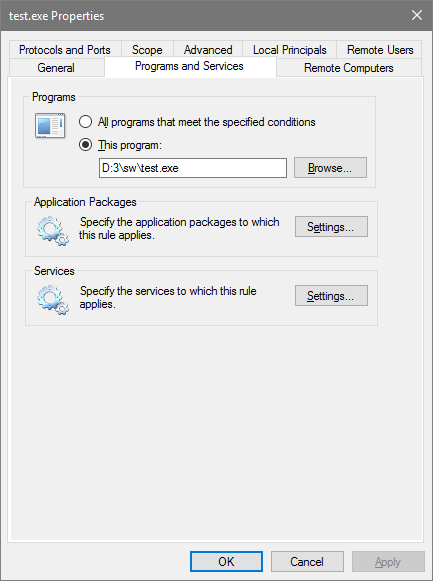 The rule does not match any running program and thus the test.exe is never allowed to receive incoming connections. The problem can be fixed by editing the rule manually, but I would like to know why this is happening and how to fix it without having to resort to manually editing the firewall rule each time. Browse other questions tagged windows-firewall storage-spaces or ask your own question. Why is my Windows Firewall allowing connections from IP addresses other than which I specified? 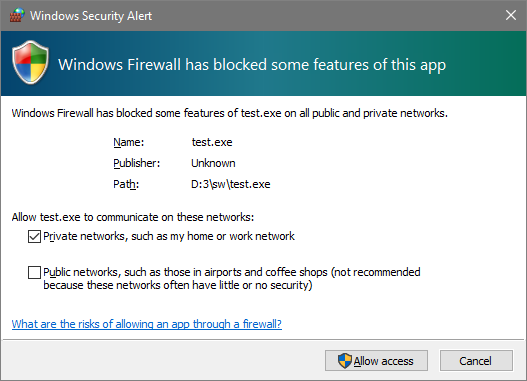 What Does This Windows Firewall Rule Do?